My girlfriend and I were finally able to line up a free day that we could go chase white crappie on Lake Champlain. Although we fish together regularly, making the two hour one way trip takes a good portion of a day. 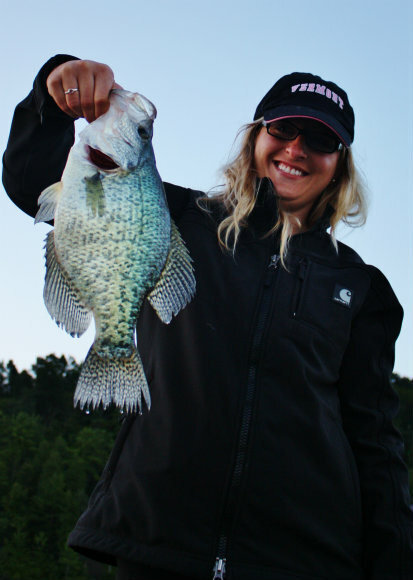 One of the big motivators for us to get down there was that she had never caught a white crappie before! We were on the water at 4:30 am and it didn’t take us long to find fish. The very first fish that came into the boat was both her first white and the largest one we saw for the day. The fish was over 14″ and thick!I wish we would have taken measurements and a weight. Not everyone marks their first white as a dandy! In past trips, I have taught her how to lift fish in the boat. When I saw her jacking this one up, I was freaking out! Luckily, the fish made it in safely and we got to take a few pictures before the release. The rest of the day we spent looking for new spots and picking at the fish as we went. 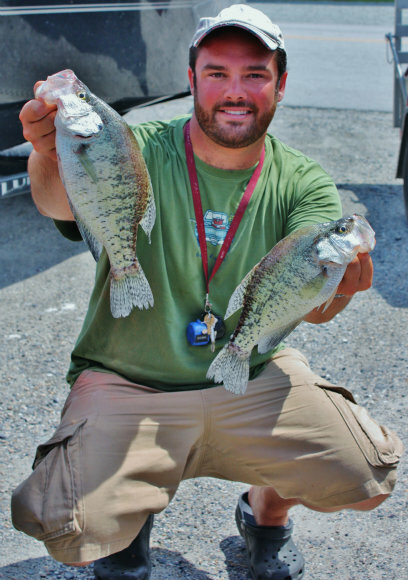 We found several new spots that held quality fish but as the day wore on the bite slowed up. We putted around a bunch more looking for new spots using side imaging. It’s amazing what you can find if you really look. There sure is a lot more than meets the eye! 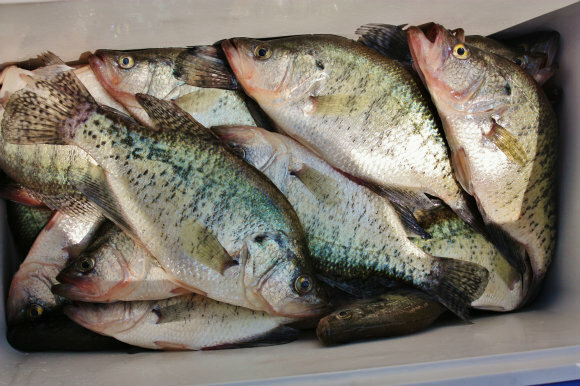 By the end of the day, we kept a mess of eaters and released a bunch of big breeders. Looks like I will have a hard time taking a solo drip now!